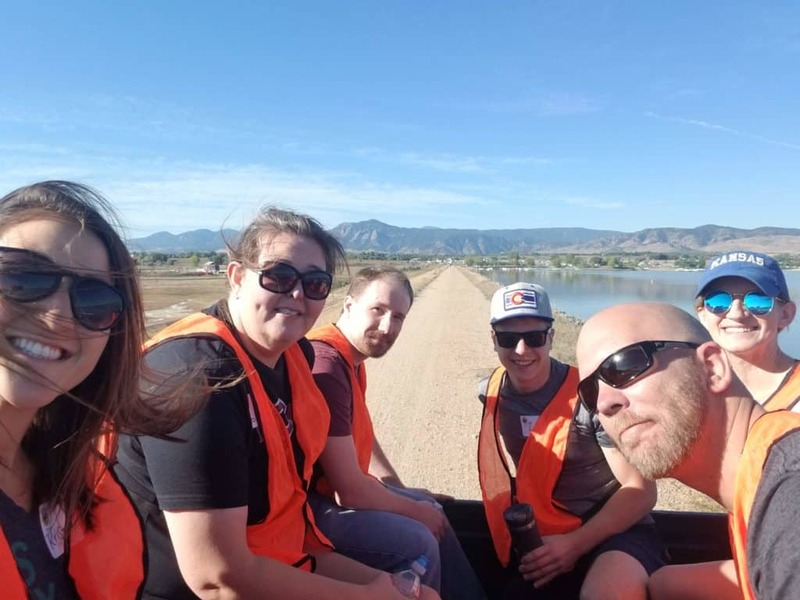 On Sunday, September 24th, six Greystone Technology employees held our positions on the dirt trail around Boulder Reservoir as 1,000 people and 400 dogs came racing towards us. The sun was shining, the view was spectacular and the dogs were perfect. As we guided race participants along the correct path for the race and provided water for humans and dogs alike, it was obvious that everyone who was participating in this event was there for one reason – to improve the lives of homeless animals in Colorado. The Humane Society of Boulder Valley provides shelter and life-saving care to more than 7,000 animals each year. 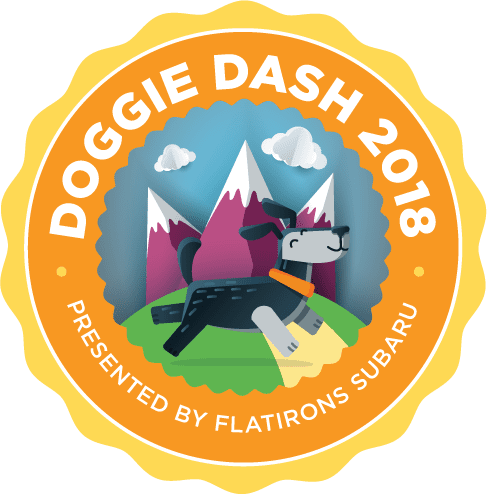 Every fall they host the Doggie Dash – a dog-friendly race that raises funds for the Humane Society. This event brings together local Colorado vendors, active Colorado inhabitants and those wanting to give back to a great organization. The race participants ran/walked and trotted along the 2-mile path next to the Boulder Reservoir. Once they reached the finish line, there were food trucks, breakfast stands, and beer waiting as the rewards. Dogs were able to jump in the water to cool off as their owners walked around to learn more about the sponsors and vendors at the event. Greystone’s group of volunteers acted as Course Marshalls for the race. We were driven out to designated locations along the race course wearing bright orange vests. As the racers approached, it was our responsibility to ensure they knew which direction to go, that their pups and themselves were adequately hydrated and that the dogs were receiving enough attention and petting. We partnered with other volunteers to make sure multiple water bowls were filled and that dogs were not overheating the warm September sun. There were dogs of all ages, sizes and energy levels. Some were alumni of the shelter, happy to be on the other side of the event. As someone who worked in the animal welfare industry for three years and as someone who is extremely passionate about helping the homeless animal population, this event hit home. The number of people who came out to race and who donated or fundraised independently for the event, solely for the purpose of supporting the Humane Society was inspiring. The event raised over 100% of its goal, all of which will go to supporting veterinary care, behavior welfare, and shelter for the animals living at the Humane Society. Animal homelessness is a serious problem in the United States, it is these events and these people who will truly make a difference in the 8 million lives of homeless animals in our country. We were so lucky to participate with such a great organization, and also to pet lots of dogs. For more information on The Humane Society of Boulder Valley or their next Doggie Dash, click here for more information.